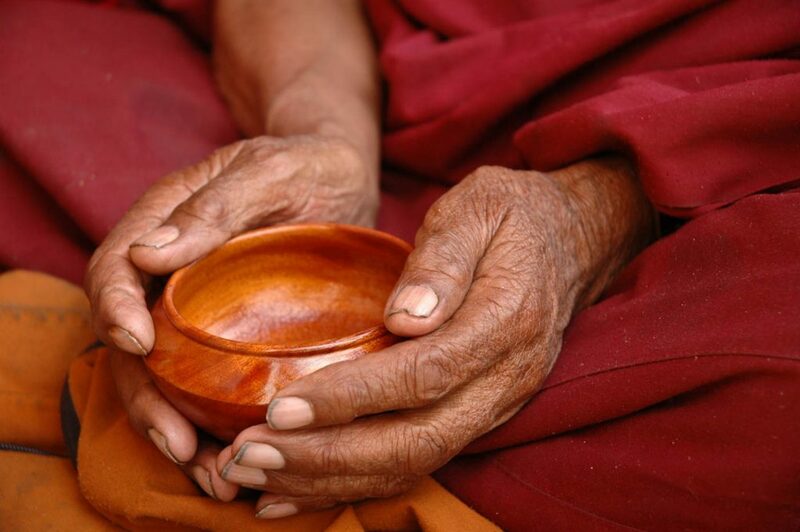 This Buddhist monk from Tibet is holding this bowl of tea like it is a treasure. I love the dirty and cracked fingernails. In this quilt I have added some hand embroidery in the wrinkles of the hands. The text in his robe are OMS referring to compassion, health, love and prosperity. 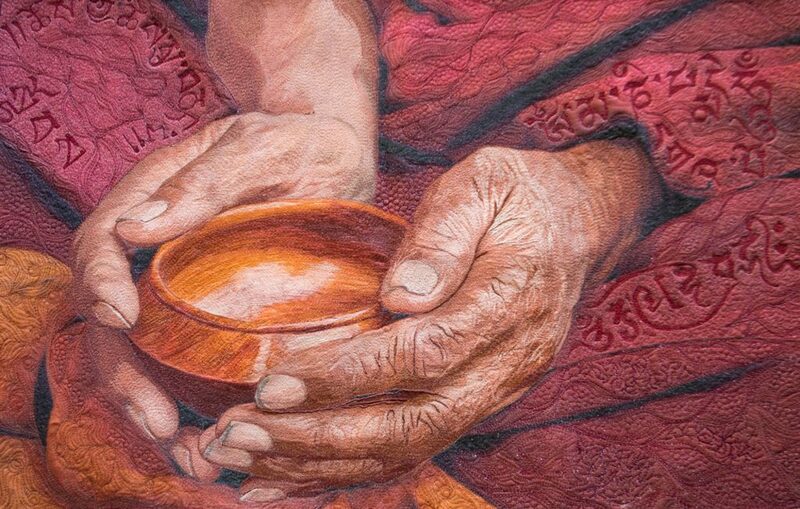 This piece draws one in to the life of a monk and the reverence that he has for the simple things.